A rainforest oasis in the middle of urban Vancouver has trumped U.S., Parisian and Spanish parks to be named the top park in the world by TripAdvisor users. Stanley Park, the biggest in Vancouver and the third-biggest in North America at 400 hectares, took the top spot for its 500,000 ancient monolithic cedar, fir and hemlock trees, kilometers of hiking trails, historic landmarks and waterfront views in TripAdvisor’s second annual Top 25 Parks of the World list. Activities include hiking, running, wildlife watching, inline skating, and biking, while the area is also home to Canada’s largest aquarium, water parks, miniature railways and tennis courts. Stanley Park attracts about 8 million visitors every year. 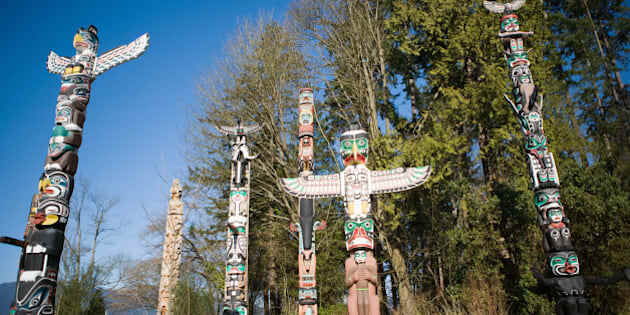 “A mini-forest, beautiful gardens, totem poles and scenic walkways make this such a peaceful location,” wrote one fan. Overall, the U.S. is the most represented taking eight of the top 25 spots, with the Garden of the Gods in Colorado Springs and New York’s Central Park rounding out the top three places. Garden of the Gods was also named the top park in the U.S..